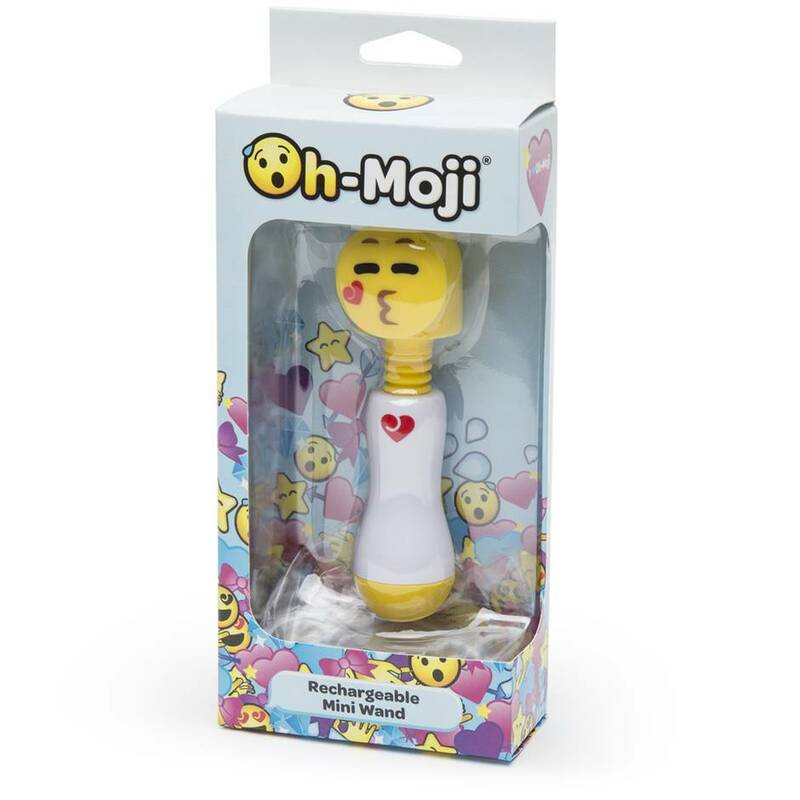 Lost your emojo? 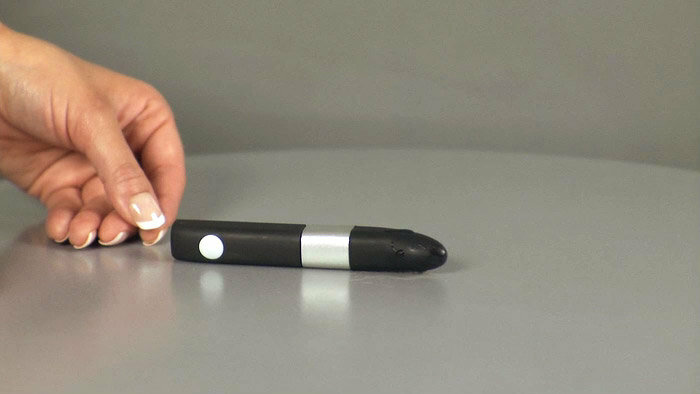 We'll give you something to smile about – an adorable mini wand that spreads more sensational vibrations than your group chat. USB rechargeable, you can put in some serious FaceTime without running out of battery. 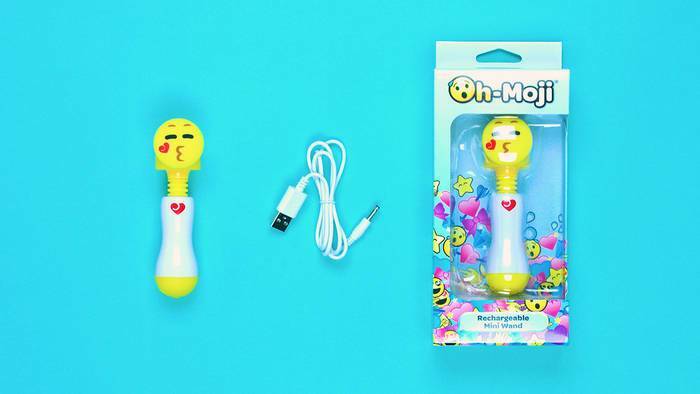 Get your 'Oh' face going by cycling through the 3 speeds and 8 patterns of buzzing vibration and letting the soft silicone smiley caress your intimate areas. Use with a little water-based lube for a glow worthier than the #instagasm. It’s tiny but definitely mighty. The face is really off-putting, but you don’t really pay too much attention to it once you’re going at it. The vibration is really powerful but the noise in my opinion is really loud. Really enjoyed it for solo play. I like how it’s really portable and has a rechargeable battery. You also have to hold it down for about 5 seconds for it to turn on, but be ready for it. When it first arrived, I didn't think it looked like much and honestly found the face kinda weird. Fool on me, because this small want packs a really big punch. One that you wouldn't expect. It's now one of my favourite toys. The battery also has a really good life as well and it's really easy to clean. The face can be off-putting. Bought this for my wife as a surprise, she's got vibrators and dildos and didn’t think much of this when she first saw it, but the first time I used it on her she could stay still and was coming in seconds. Now she loves it and it’s a regular toy for our foreplay. Very powerful for the size. Bit hard to turn on. At first we thought it was broke. Excellent tool for for play for both of us.